Photo by Dapper Lad Cycles in the Beacon Hill Blog photo pool on Flickr. 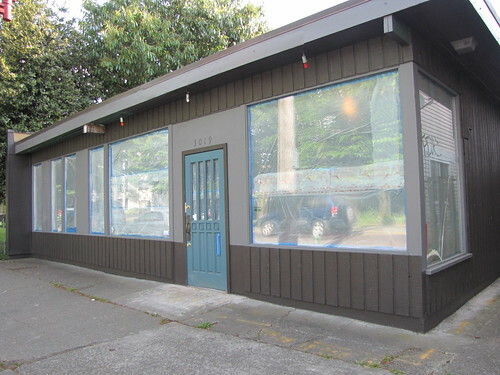 The only other Southeast Seattle restaurant mentioned is Columbia City’s Full Tilt Ice Cream. 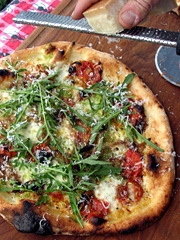 Read about Bar del Corso, Full Tilt, and the 23 other restaurants included on the list here. 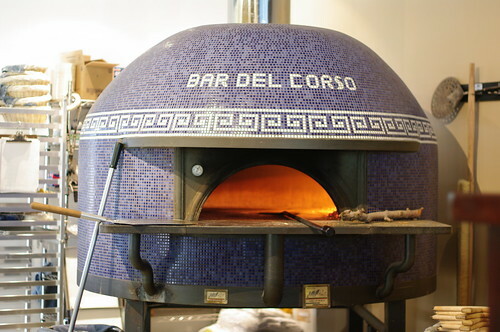 The big blue oven from Bar del Corso. Photo by Dapper Lad Cycles in the Beacon Hill Blog photo pool on Flickr. Eater likes Beacon Hill lately — they also included a photo of Travelers Thali House in a recent post. 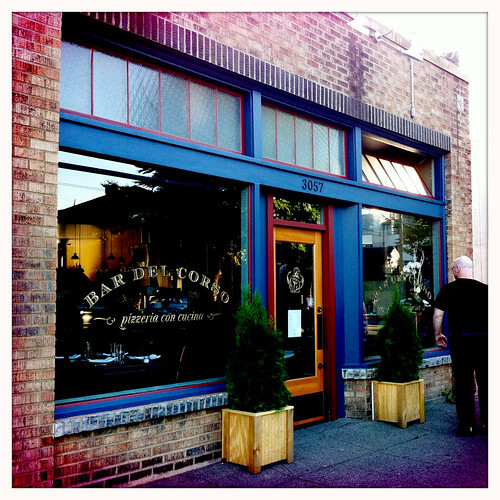 In a recent discussion on Chowhound about the best pizza in Seattle, Bar del Corso got some love. 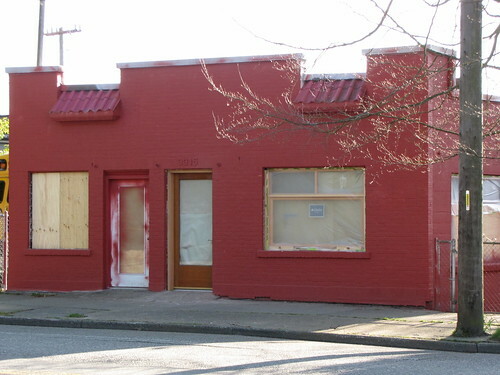 Seattle Beer News discusses why good bars are essential to Beacon Hill. The Seattle Times published one of the earliest photos of a Beacon Hill house recently. The house was at what is roughly 10th and Dearborn, which is not part of Beacon Hill anymore. Back then, however, it was. Since that time, the Dearborn Cut (finished 100 years ago in 1912) has removed the northern ridge of Beacon Hill where it once continued north toward First Hill. The NewHolly development on South Beacon Hill has seen home values drop drastically. Could it be because of crime? Real estate agents quoted in a story at Seattle Weekly suggest that instead, it’s a common situation in newer developments, where multiple nearly identical homes are for sale, triggering price wars. We all know about Beacon Hill’s high school, Cleveland. But another Seattle high school you may not have heard of has headquarters here on the Hill, as reported by the Seattle Times: the Interagency Academy. If you comment, include the application number (179110), project address (3057 Beacon Ave. S.) and your contact information with your comment. 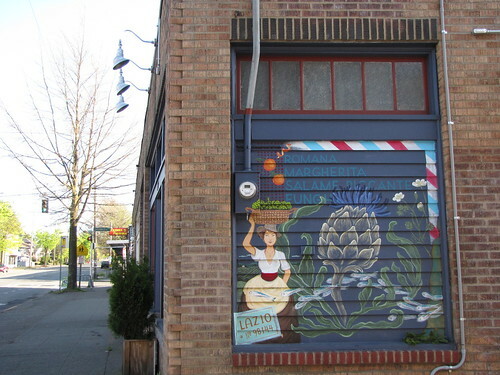 The north side of Bar del Corso, showing the sidewalk along Beacon Avenue in front of the restaurant. Photo by Wendi Dunlap. Bar del Corso. Photo by Wendi. Bethany Jean Clement of The Stranger made her way to Beacon Hill’s Bar del Corso recently for a review. She contrasts the site’s former existence as dive bar The Beacon Pub to the newly brightened-up pizza establishment that replaced it (“pizza parlor,” with its overtones of Shakey’s, doesn’t seem to be the right term for this type of modern-Seattle-by-way-of-Naples restaurant), name-checks other Hill stalwarts such as Inay’s and Baja Bistro, and brings up the “G word”: gentrification. Read the review at The Stranger, and tell us what you think here in the comments. Raskin’s review is here. What do you think? Beacon Hill sidewalks are no match for six thousand pounds of pizza oven plus a forklift. The new Neapolitan pizza oven at Bar del Corso arrived from Italy on Friday, and while it was being moved into the old Beacon Pub building, the sidewalk behind the building gave way. Luckily, there was no damage to the custom blue oven, and with a sheet of metal placed over the damaged walkway, the oven was able to be moved inside. 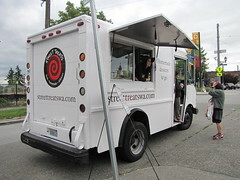 See lots of photos of the oven, the crushed sidewalk, and the process at seattlemag.com. Many more photos are on Bar del Corso’s Facebook page.